A simple but really tasty tomato sauce for homemade pizza. 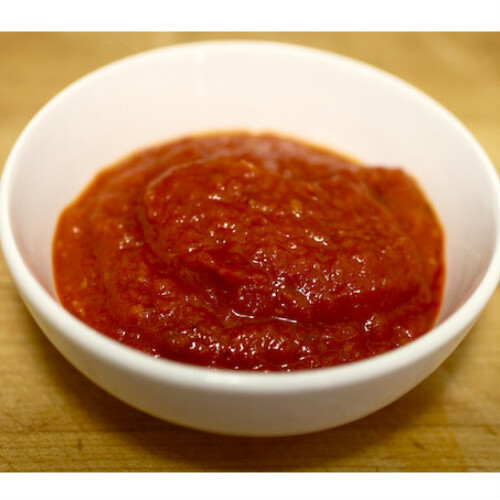 It’s made with just a few ingredients, tomatoes, garlic,onions and italian seasoning. You will have a yield of 1 1/3 cups. You can even freeze it in single pizza-sized portions to make things all the easier for yourself on Pizza Night!